Ford's Theatre has been added to your itinerary. 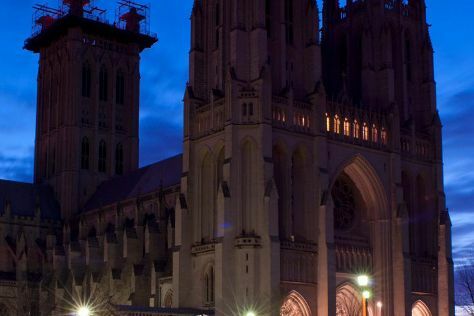 Washington National Cathedral and National Gallery of Art are good opportunities to explore the local culture. Let the collections at National Air and Space Museum and National Portrait Gallery capture your imagination. Explore Washington DC's surroundings by going to Antietam National Battlefield (in Sharpsburg), Great Falls Park (in McLean) and Fort McHenry National Monument (in Baltimore). There's still lots to do: explore the activities along Tidal Basin, step off the mainland to explore Theodore Roosevelt Island Park, steep yourself in history at Audubon Naturalist Society Woodend Sanctuary, and gain insight at Georgetown University. To find ratings, maps, traveler tips, and tourist information, read our Washington DC tour itinerary maker tool . In February, daytime highs in Washington DC are 48°F, while nighttime lows are 32°F. Finish your sightseeing early on the 12th (Tue) to allow enough time to travel back home.